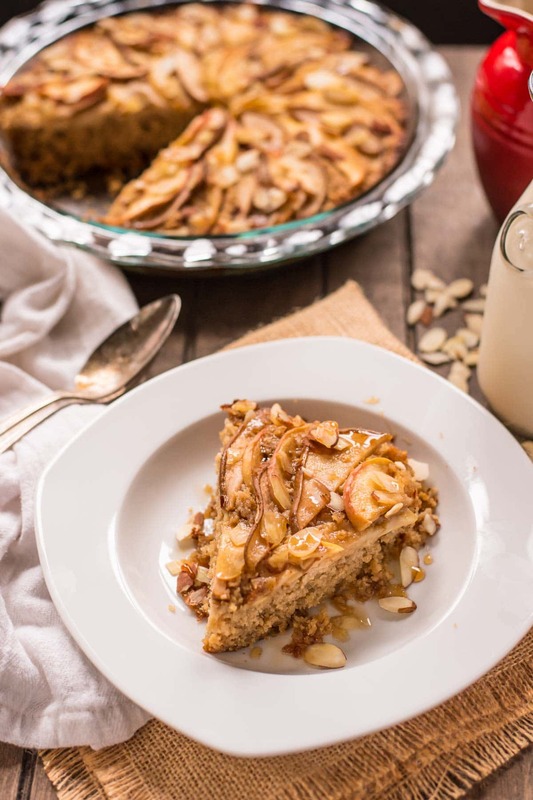 This easy Amish-style Baked Oatmeal recipe is topped with apple, pear, and almond slices for a warm and satisfying start to any day. My first introduction to baked oatmeal happened at summer camp. I was in middle school at the time and had signed up for a week at a small Mennonite church camp in Northern Ohio. Little did I know that tiny camp would become one of my favorite spots for many years to come. For the next seven years, I would spend at least one week every summer swimming in the murky waters of the lake, making s’mookies, hiking through mosquito infested woods, writing silly skits, and passing notes to my friends in the bunk beside me. So many of my fondest childhood and high school memories were formed around the camp fires, quiet woods, and green rec lawn of that camp. Summer camps are not typically known for their food, but this was a Mennonite camp. And if there’s anything you should know about Mennonites, it’s that they know how to cook. 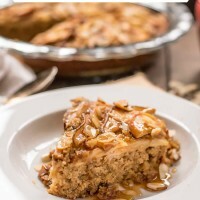 My favorite meal was always baked oatmeal–a simple dish of oats, brown sugar, eggs, and milk baked almost like a cake. It was warm and crumbly and hearty, the perfect start for a full day of activity. I still make baked oatmeal on a fairly regularly basis, and every time I make it, I get nostalgic for those long summer days. Over the years, I’ve experimented with all kinds of different variations and toppings, but this one is my new favorite. It’s made with Bob’s Red Mill’s almond flour, which adds flavor and texture, not to mention a good amount of protein and fiber. I normally love to top my baked oatmeal with fresh berries, but decided apples and pears were the more logical choice this time of year. Instead of saving them for a topping, I baked the slices right on top, and I am oh so glad I did! This combination of sweet, crumbly almond baked oatmeal and soft apples and pears is irresistible. I topped each slice with a drizzle of maple syrup and milk for a warm, hearty, comforting breakfast that kept me full and satisfied until lunch time. This is exactly the kind of breakfast you’ll want to cozy up with during the winter months. 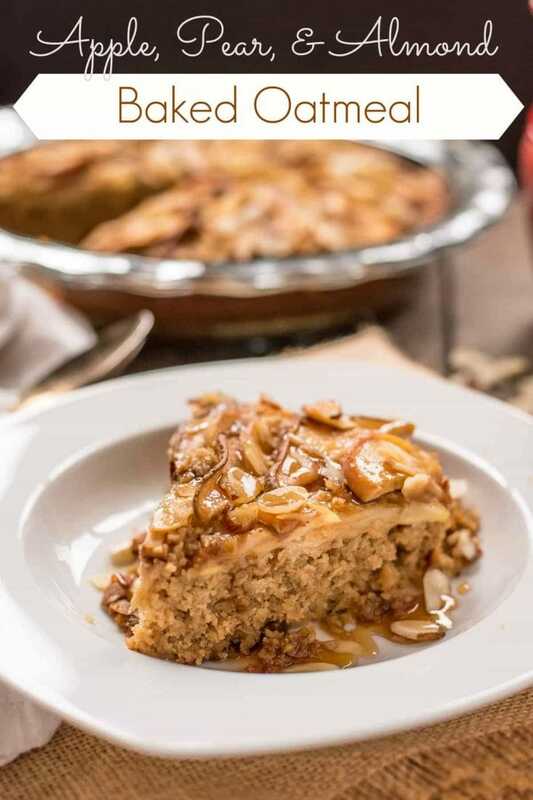 You can bake it in a pie dish, like this, for thick pretty slices, or spread it out in a 9 x 13 inch pan and cut it into squares to eat throughout the week. 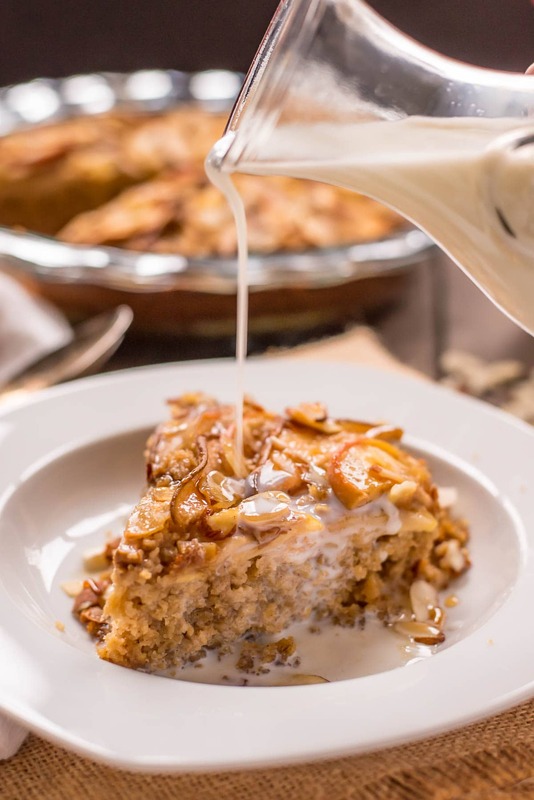 Either way, I think you’ll love this classic Apple, Pear, and Almond Baked Oatmeal just as much as I did. To find more recipes using almond meal, visit Bob’s Red Mill’s website, Facebook, Twitter, and Instagram accounts. Preheat the oven to 350 degrees. Grease an 8 x 8 inch pan or 9 inch deep dish pie dish. In the bowl of an electric mixer, beat together the butter and brown sugar. Add the eggs and vanilla and beat until smooth. Add the oats, almond meal, baking powder, salt, cinnamon, and cardamom and beat until well combined, scraping the sides as necessary. Stir in the milk. Pour the mixture into the prepared pan. Layer the apple and pear slices over the top, overlapping each one. Sprinkle with the almonds and brown sugar. Bake for 20-30 minutes or until fruit is tender and oatmeal is set. 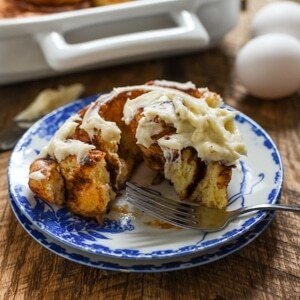 Serve with maple syrup, milk, yogurt, or cream. This post was developed in partnership with the lovely people at Bob’s Red Mill. As always, all opinions are my own. I’ve been wanting to try a baked oatmeal for a while now. This one looks phenomenal! Love the apple and pear combo! It’s one of my favorite breakfasts, especially in the winter! I hope you love it! Baked oatmeal is seriously wonderful. You have to give it a try! Thanks Melissa! I hope you love it! Thank you for commenting! i hope you enjoy this one! This sounds absolutely perfect! I LOVE the addition of almond flour (swoon). Thank you! It really added so much great texture to this! Words can’t describe how strongly I feel about this gorgeous baked oatmeal. Also, s’mookies? Genius! I’ve never had baked oatmeal but I’ve been pretty much obsessed with the photo since I saw it. Pinned and happening in my kitchen very, very soon! YES! Hope you love it! Baked oatmeal is way up there in my top 5 breakfasts. Just like Anita I’ve never had baked oatmeal either but I’m getting obsessed with the idea of it since I see it everywhere now. I especially love your version. It looks thick and hearty and chewy and the added almond meal just takes it up a notch. I need to stop procrastinating and just start baking! It is all of those things. Thick, chewy, and hearty for the win! This sounds just like the oatmeal casseroles I love to make for quick breakfasts in the morning. I would love to include your delicious oatmeal in my roundup at the end of the month if that is OK with you. There would be a link back to your blog for the recipe. Hi 2 Cookin Mamas! Thanks so much! You can definitely include a photo in your round up, with a link back to me! YES to Mennonite cooking! When I lived mid state for 4 years, I was surrounded by plenty of Mennonite families who ran businesses including selling ready-to-eat food from their delis. I did not feel the slightest bit guilty when I bought potato salad or coleslaw because it would still taste homemade. And freshly baked buttery soft pretzels? It almost makes me want to move back! Anyway, I’ve never had baked oatmeal before but can’t wait to give this a try. Mennonite cooking is seriously THE BEST. Always tastes homemade, even when they’re making it for a shop. I love baked oatmeal! Especially 8 or 6 servings in 8×8 dish or pie dish. They freeze well in portions to go. I am the only one to eats this so it works for me, also healthy, gluten free. If you have other recipes Please post, Thanks so much! Hey candlemom! I love freezing it too and getting out portions just for myself. 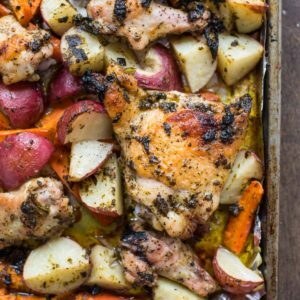 You could definitely make this in a square or rectangular pan to make that easier. Wonderful! I hope you thoroughly enjoyed this! I don’t have almond meal, and gluten free is not a concern for my family, do you think I could use whole wheat flour instead? Sure Michelle! You can simply leave the almond meal out and use 3 cups quick oats instead. I’ve made it both ways and both turn out well! I’ve been really into baked oatmeal lately. This looks so warm and cozy and I bet the almond meal is delicious in it. I love that baked oatmeal is really just a slightly-healthified version of breakfast cake. I love the little bit of cardamom in there, too! made it and loved it! I couldn’t believe how tasty it was. We froze a few slices for next week and put the rest in the fridge for tomorrow. Easy to make and delicious, my kind of recipe!